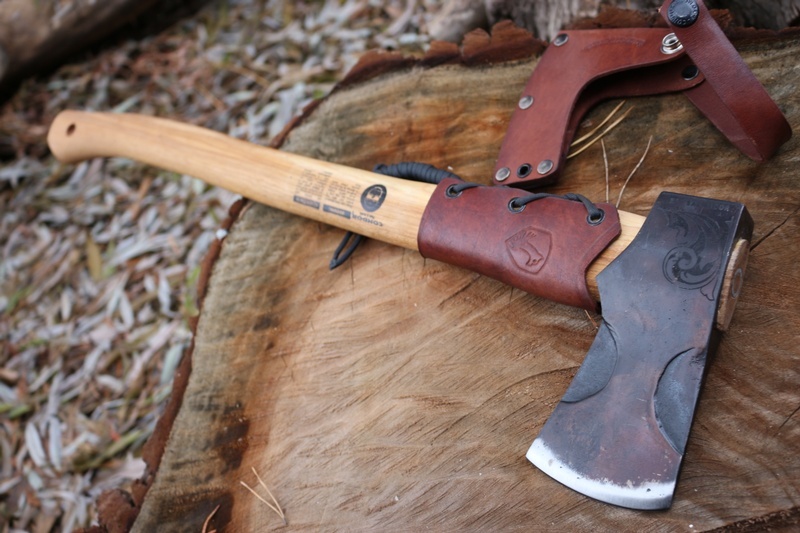 Great value general purpose Axe designed by Joe Flowers. 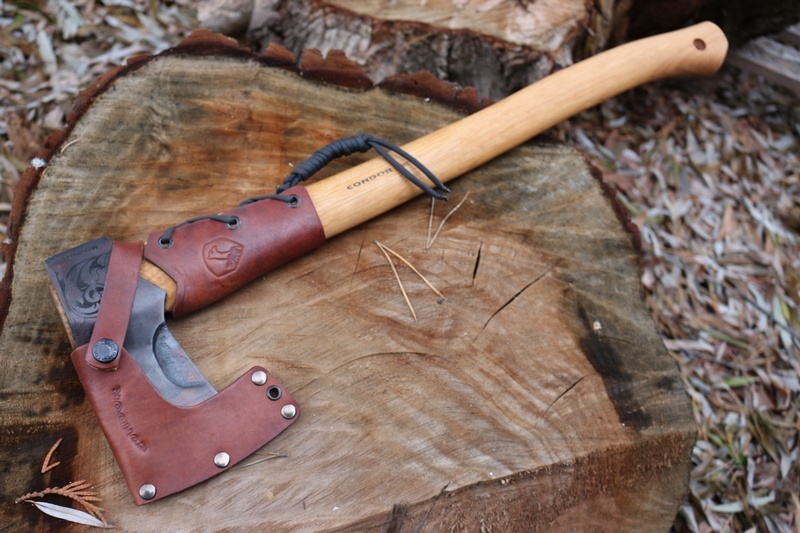 The Axe is compact with a 1.65lb head, great around the camp and a great Bushcraft Axe. Uses 1060 HC steel ( 55HRC) with phantom bevels for low friction. Convex ground 3in cutting bit with Hickory handle and double metal and wood wedge. 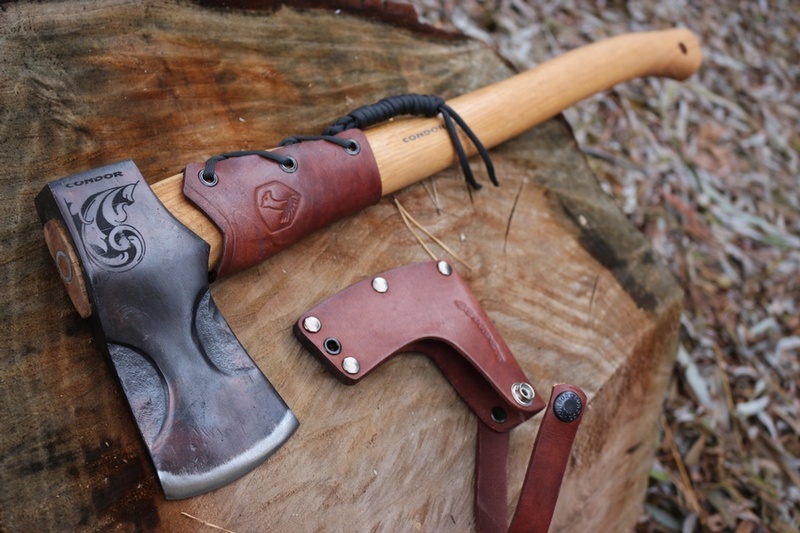 The Axe comes with a leather over strike and a quality leather head cover. Overall very nice quality, value Axe. Head Dimensions: 5.75" x 3.00"
Purchase through PayPal by using the "Add To Cart" button above or use the form below to order the Condor Cloudburst Axe . 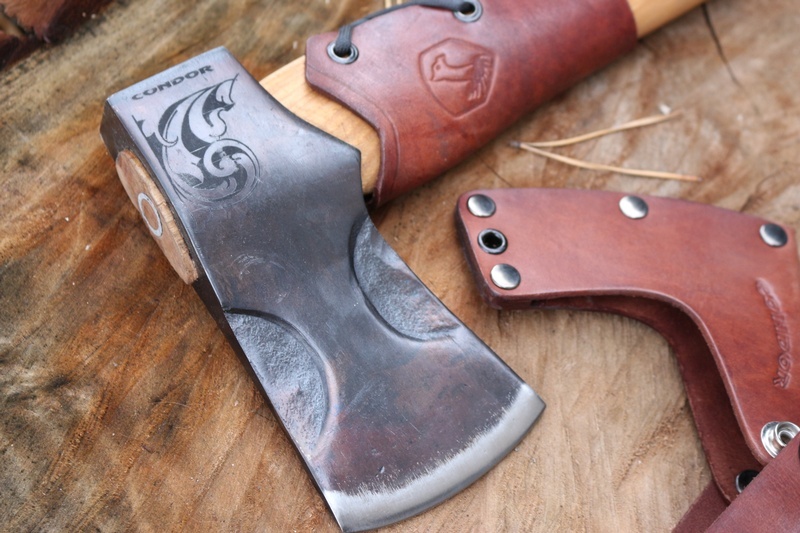 Feel free to contact us if you have any questions about the Condor Cloudburst Axe .